Early retirement? Mind the gap! Thinking of an early retirement? You’ll first want to consider how you intend to pay for health care costs, when you should begin collecting Social Security and how an early retirement might impact your long-term retirement investing strategy. According to a recent Gallup poll, the average American retires at age 61.1 That’s at least five years away from collecting full Social Security retirement benefits, not to mention pensions, which typically begin at age 65, when available. Collectively, these programs can account for a significant share of retirement income. According to the Social Security Administration, Social Security and public and private pensions make up 54% of an average retiree’s income.2 What’s more, Medicare coverage does not begin until age 65, leaving early retirees with potentially hefty monthly premiums until Medicare kicks in. Anyone contemplating an early retirement will want to plan carefully and ask himself several important questions. How Will You Fund Health Care Costs? One of the biggest obstacles to early retirement is health insurance. If you are working for a company that pays all or most of your health insurance, you could face an added monthly expense of $500 or more if you retire before age 65.3 What’s more, most companies no longer offer retiree health benefits, and if they do, the premiums can be high or coverage low. A 2012 survey by the Employee Benefit Research Institute (EBRI) indicated that health care costs account for 10% of total spending for individuals between ages 50 and 64.4 In addition to health insurance premiums, there are also co-pays, annual out-of-pocket deductibles, uncovered procedures or out-of-network costs to consider–not to mention dental and vision costs. You are no longer working and need the benefit to help make ends meet. You earn less than your spouse and your spouse has decided to continue working to help earn a better benefit. If you think you may qualify for a health care subsidy under ACA, you may want to delay collecting Social Security until at least age 65 (when Medicare kicks in), as Social Security benefits are fully counted as income in determining your eligibility for subsidies. Delay withdrawals from taxable retirement accounts, such as IRAs or 401(k) plans. The longer this money can grow tax-deferred (or tax free for Roth accounts), the more you will save in taxes. Instead, tap into after-tax accounts first. Structure your investments to include a significant growth element. Since your money will have to last longer, you will want to make sure to include stocks or other assets that carry high growth potential. Stocks are typically more volatile than bonds or other fixed-income investments, but have a better long-term record of outpacing inflation. The first place to start early retirement planning is with a detailed plan that includes estimated income and expenses. Let me work with you to put in place a plan that factors in all the necessary elements you will want to consider. 1Source: Gallup Economy, May 15, 2013; http://www.gallup.com/poll/162560/average-retirement-age.aspx. 2Source: Social Security Administration, Fast Facts and Figures About Social Security, 2013; http://www.ssa.gov/policy/docs/chartbooks/fast_facts/2013/fast_facts13.pdf. 3Source: AARP Public Policy Institute, Health Insurance Coverage for 50- to 64-Year-Olds, 2011, http://www.aarp.org/content/dam/aarp/research/public_policy_institute/health/Health-Insurance-Coverage-for-50-64-year-olds-insight-AARP-ppi-health.pdf. 4Source: Employee Benefit Research Institute, Expenditure Patterns of Older Americans, 2001-2009, February 2012; http://www.ebri.org/pdf/briefspdf/EBRI_IB_02-2012_No368_ExpPttns.pdf. 6Source: Social Security Administration, http://www.ssa.gov/oact/cola/rtea.html. Tax laws are complex and subject to change. Morgan Stanley Smith Barney LLC (“Morgan Stanley”) , its affiliates and Morgan Stanley Financial Advisors and Private Wealth Advisors do not provide tax or legal advice and are not “fiduciaries” (under ERISA, the Internal Revenue Code or otherwise) with respect to the services or activities described herein except as otherwise agreed to in writing by Morgan Stanley. This material was not intended or written to be used for the purpose of avoiding tax penalties that may be imposed on the taxpayer. Individuals are encouraged to consult their tax and legal advisors (a) before establishing a retirement plan or account, and (b) regarding any potential tax, ERISA and related consequences of any investments made under such plan or account. The strategies and/or investments discussed in this material may not be suitable for all investors. Morgan Stanley Wealth Management recommends that investors independently evaluate particular investments and strategies, and encourages investors to seek the advice of a Financial Advisor. The appropriateness of a particular investment or strategy will depend on an investor’s individual circumstances and objectives. Equity securities may fluctuate in response to news on companies, industries, market conditions and the general economic environment. Companies cannot assure or guarantee a certain rate of return or dividend yield; they can increase, decrease or totally eliminate their dividends without notice. 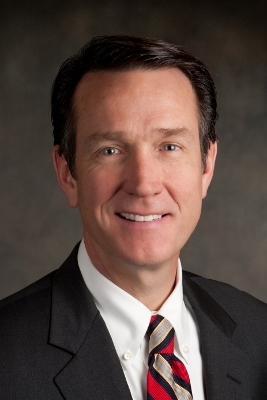 Thomas Alley is Senior Vice President – Wealth Management with the Global Wealth Management Division of Morgan Stanley in the Denver Tech Center. He can be reached at 303-925-9705 or thomas.j.alley@mssb.com.